If media and analyst predictions on its rate of growth are proved true, the telecoms industry faces huge pressure. The Internet of Things is no longer the future. It’s very much the present and the market is growing at an exponential rate. It’s set to quadruple in size, growing from $900 billion in 2014 to $4.3 trillion by 2024, with more than 30 billion connected devices in use. Approximately 7.5 billion of those devices will access a cellular IoT core network, which is three times greater than the number of LTE-connected smartphones today. Service providers have faced waves of game changing technologies influenced by end user demand over the past 20 years, including the rise of SMS and the explosion of Over-The-Top (OTT) applications on smartphones, and IoT is in the same bracket, if not out on its own as the future of the technology world. If media and analyst predictions on its rate of growth are proved true, the telecoms industry faces huge pressure. It will play the pivotal role in anchoring connections from device to device and the core. But if connections are lost, what are the consequences? And how do service providers play their part in ensuring they’re not faced with dealing with the impact of potential downtime? With predictions that total M2M revenue opportunity is forecast to reach $1.6 trillion in 2024, up from $500 billion in 2014 (an annual growth of 12 per cent), it’s clear why so many industries are vying for their piece of the pie. Telecoms has been identified as the glue which will hold the connected world together so it’s vital that any teething problems in these early years are identified and resolved. Just last month, we saw Vodafone delve into the consumer side of IoT with the launch of its new “V by Vodafone” bundle, whereby consumers are charged for the number of connected devices they add to their monthly plan. Consumers are one of many drivers behind the rise of IoT and it won’t be long before other operators follow in Vodafone’s footsteps. For the true benefits of IoT to be recognised, highly reliable connectivity is key. Much in the same way networks deal with voice calls, device connection must be immediate and on hand whenever called upon, as well as being reliable and strong to avoid latency. Devices vary depending on their use case, throughput requirements, power consumption and the service requirements across different IoT applications. These applications can be categorised by two factors: data throughput and connectivity. Connectivity is key for the wide range of applications that have a low tolerance of latency. These include; location-based marketing and advertising; industrial robotics and environmental control; smart home control; augmented and virtual reality; vehicle control and telematics; and remote personal healthcare, remote surgery and some wearables. It’s vitally important that operators have the correct tools in place that address latency control, reliability improvement and authentication for such applications. It’s paramount for operators to have an understanding of how to build a network that will be able to cope with the level of IoT traffic expected. The devices may only want to transmit a small amount of data but the vast numbers of them could have a detrimental effect. The connections are low speed and low volume, but it’s the sheer number of them that’s likely to cause concern. The underlying transmission protocol, SCTP (Stream Control Transmission Protocol), needs to be able to support the huge number of M2M and IoT connections trying to access the core network simultaneously. Operators that are unprepared will be faced with a potentially severe ‘bottleneck’ in their network. There are basic issues with Diameter signaling that threaten to cause mass disruption to the network, which could lead to a diminished Quality of Experience (QoE) for network subscribers and also a potential loss in revenue for the operator. To address data throughput issues, operators must ensure they have a reliable GPRS Tunnelling Protocol (GTP). Accelerating GTP tunnels and offloading GTP data traffic is a critical requirement in the performance of 3G and 4G networks, especially for IoT and M2M traffic management and load balancing in the core network. Removing bottlenecks in the network increases performance and supporting differentiated services improves QoE. 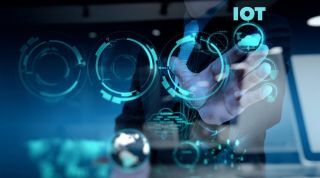 Operators must also revisit their ability to handle the hundreds of thousands of connections from the IoT devices into the core network. Ensuring a secure connection that is fully authenticated is a must. With the SCTP protocol, authentication chunks designated in RFC 4895 secure SCTP-based associations from packet injection, hijacking or accidental disconnection, thus securing the millions of simultaneous associations required by today’s IoT networks. According to GSMA’s IoT Security Guidelines for Network Operators, network authentication algorithms should be implemented that meet the lifetime expectation of IoT service provider’s endpoint devices. By adhering to these guidelines, operators will provide a level of service that end users will expect and demand. The telecoms industry is undergoing huge change to accommodate the phenomenon dubbed the Internet of Things. Both consumer and business demand is placing huge pressure on the industry, which is responsible for ensuring the connection between device to the core is strong and reliable. It should be a wake-up call for operators that the number of connected devices is set to quadruple in size by 2024. They need to have the correct protocols in place to ensure that connection is not an issue for applications that have a low tolerance to latency, and consider SCTP and GTP protocols that will help ease this pressure. As new devices and applications that require network connectivity develop, it becomes incrementally important that basic network requirements, such as a reliable signalling process and secure authentication, are prepared and fully functional for IoT technology to run successfully.